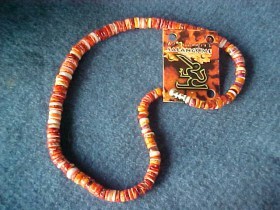 Salangome specializes in the import, sale, and distribution of quality exotic handicrafts from Central and South America. In 1998, my son was part of an archaeological team searching for remains of the pre-columbian chiefdom Salangome, renowned for its balsa rafts which carried jewelry made of precious shells from Ecuador to cultures as far away and Mexico and Peru. In 1997-8, el niño had destroyed the fishing village of Salango-where they were excavating. One day he met an artist making beautiful necklaces from mother of pearl shells which he found on the beach. The villagers were very poor and he believed that he could help out by selling the necklaces on the internet. 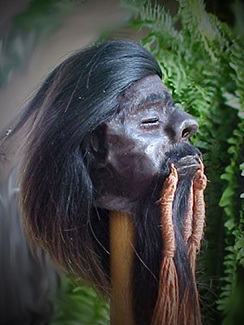 Over the years, we have added many unique products including the ever popular shrunken heads as seen on the National Geographic Channel, Disney Land, Pirates of the Caribbean movies and numerous television, movie and theatre productions. Even museums around the world have replaced original tsantsa (that have deteriorated to a point where they cannot be displayed) with our replicas. The palo santo (holy wood) products (incense and oil) have become wildly popular all over the world. They are harvested by indigenous peoples authorized by the government to keep this a sustainable product in Ecuador. They are picked up at the source by my artist and delivered to me every other week. I sell small pouches to individuals and in bulk for re-sellers, Spas, Yoga Studios. The alpaca products (rugs, teddy bears and specialty animals) are individually hand picked at the market place to insure that every buyer will be delighted.